You might be curious if RepairDesk allows customer or a repair shop to select what parts work and don't work and the customer signs agreeing on condition before work is started. 1. 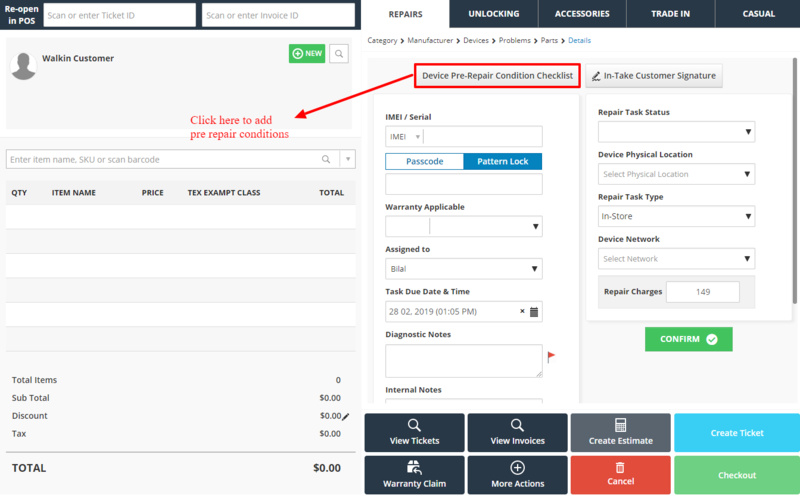 While creating a ticket, on the Details page, click on Pre-Repair Condition Checklist. 2. Go through the pre-repair condition checklist. To save the checklist click on Save Checklist button. Category will be auto-selected based on the Repair and pre-post condition related to that specific category will be populated. 3. You can also add pre-repair condition checklist in the Ticket Details Screen. Under Device Details section, clink on the Action button against the line item and select Pre-Post Device Condition. 4. Similarly, once repair ticket is completed you can update device post repair condition which also get printed on the invoice. Q. How can I make Pre-Repair Condition check list mandatory? A. 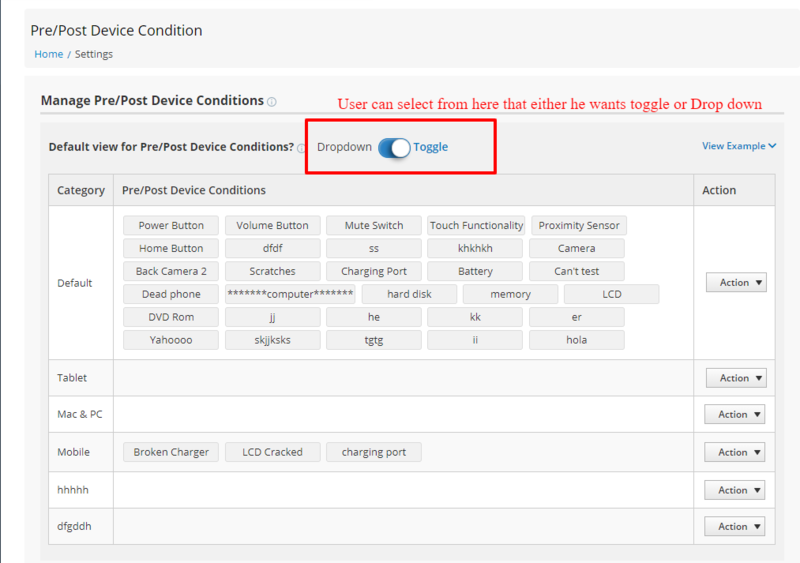 We have added a new trigger that allows you to make pre-repair device condition test compulsory. 4. Enable the trigger "Pre Repair Conditions Obligatory." 5. Click on Save to enable changes. Now if you have enabled this trigger, and you are creating a ticket via POS, you cannot proceed until you have selected pre-repair device conditions from the checklist. Similarly, if you are creating a ticket from Tickets section, you cannot proceed further unless you select pre-repair device conditions. Q. Can I upload device Pre or Post repair device condition image against a repair ticket? A. Yes, you can upload Pre-post repair device condition, in order to know more Click Here. Q. Is there any trigger through which user can make it mandatory to select Pre -Post device condition? A. 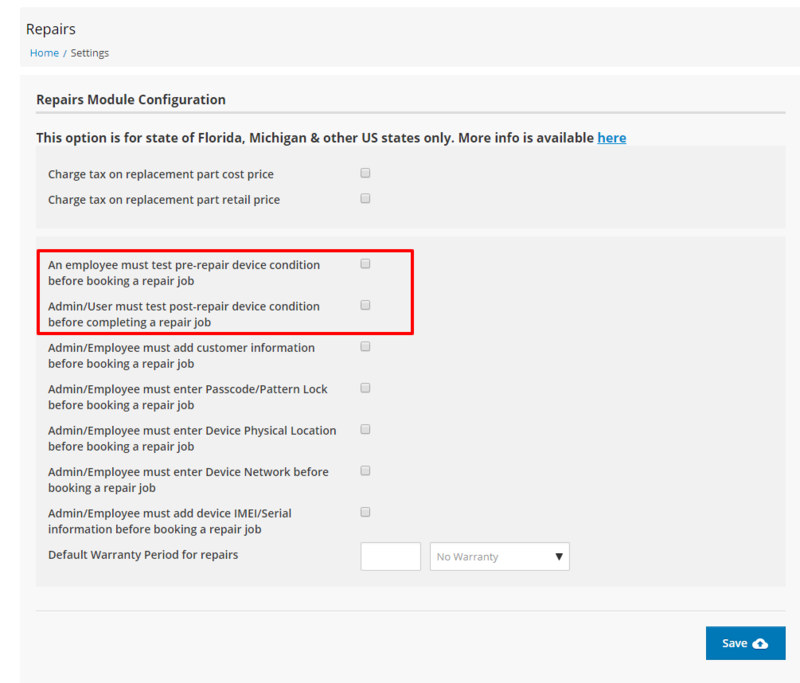 Yes, you can make it mandatory to select Pre-post device condition Click here to View in Detail how to make it mandatory. Q. Is there any other way to add pre /post device condition? A. Yes, user can change the View to add Pre /postCondition from setting by selecting the view. Q. Can I select specific Catagory for pre /post repair condition when adding against any specific ticket? 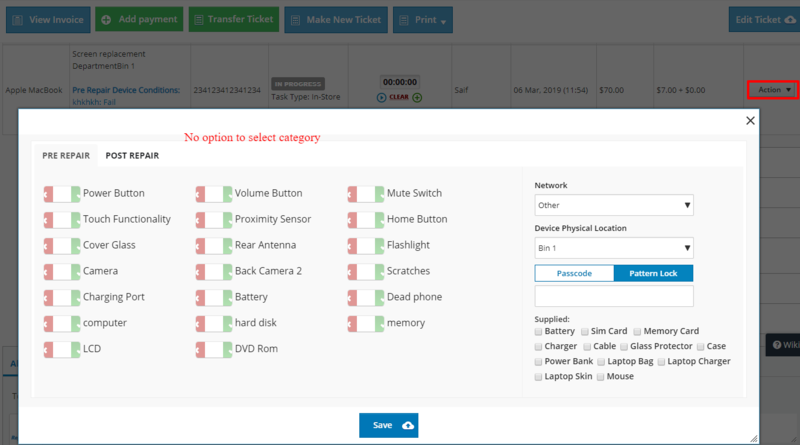 A. if a user adds pre-post condition from manage ticket against any ticket, category selection option will not be available. Q.How I can add a category and pre-post condition against it? A. You can not add Catagory, Lready created repair category will be displayed here. In order to know how to add repair category click here. The user just needs to Click on action and press Edit, after edit user can add device conditions which should be comma separated and click save. After Pressing Edit add the required device conditions and press save.